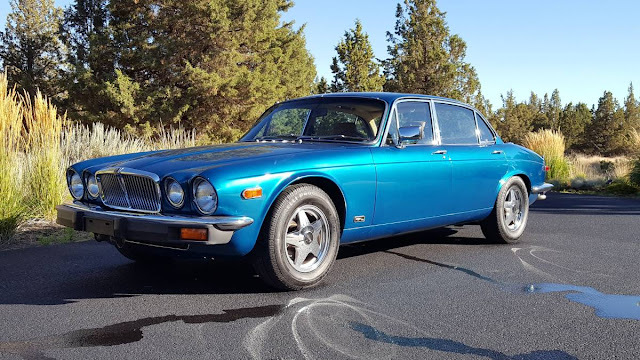 Who'd have thought that a Camaro Teal would look so good sprayed on the outside of a classic 70s Jaguar sedan? 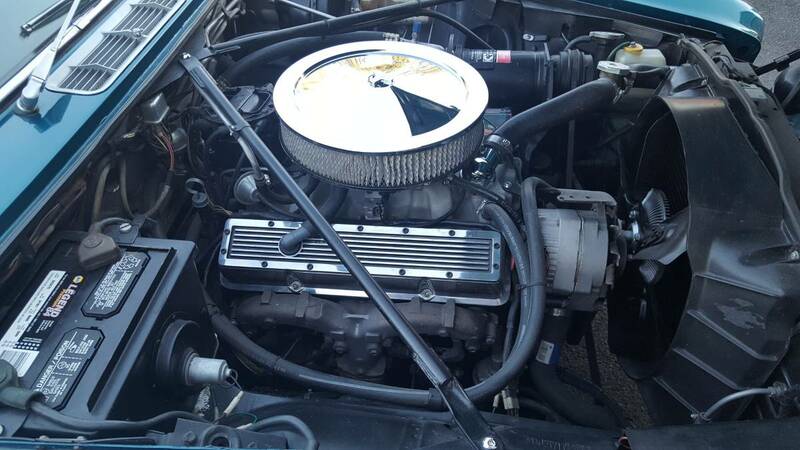 But there it is, in the flesh, powered by a carburetor fed Chevy small block V8 and offered for a reasonable price. 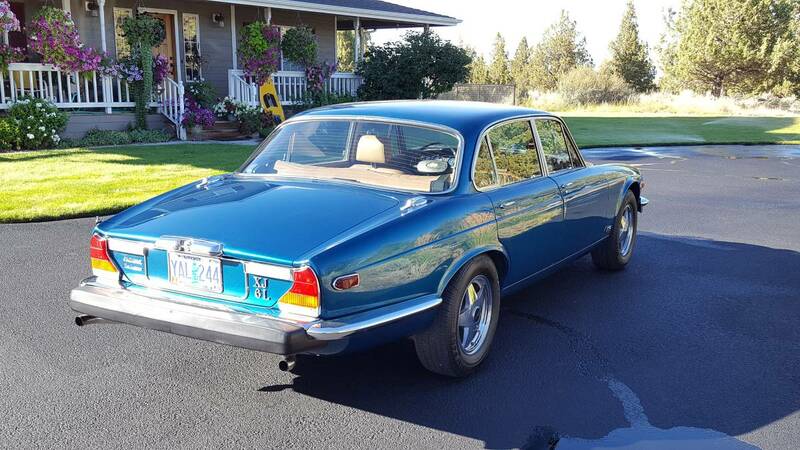 Find this 1978 Jaguar XJ6 V8 Swap offered for $8,500 in Redmond, WA via craigslist. Tip from Rock On! 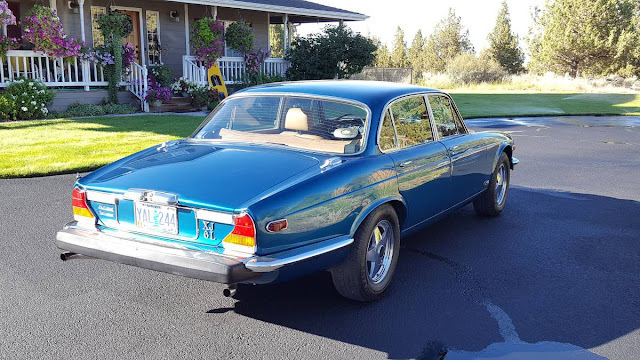 The Jaguar XJ6 is one of the legendary sports luxury sedan of the '70s that every man (or woman) who considers himself a motorhead should own some day. The highway manners were particularly noteworthy, close your eyes and you could hardly tell you were moving -- something that couldn't be said for many of the domestic offerings of the day, While offered in Europe with a wide range of lesser (smaller displacement) engines, the US version was given the the venerable 4.2 litre inline-6, an engine that is not without its charm...but...is frequently tossed aside for something from the General. There it is -- the cliché of all clichés. The rumble in the jungle. The blitz in blitzkrieg. The small block Chevy V8 "crate" motor is about the most common thing on the planet this side of oxygen. Expect it to put horsepower into the rear wheels with minimal fuss and maximum V8 gurgle. Think the SBC will roast the tires? A pre purchase inspection ought to answer that question. Btw, it's in Redmond Oregon, not WA.